Featuring Lenny Kravitz, Craig Ross, Gail Ann Dorsey, Cindy Blackman Santana, George Lake, Harold Todd, Ludovic Louis, Michael Sherman, Erika Jerry, Yahzarah St. James and Jessica Wagner-Cowan. Distributed by Eagle Rock Entertainment. 106 minutes. Not Rated. Lenny Kravitz has put together a long career defying expectations. Equal parts rock and soul, with a bit of jazz, country, classical, pop and hip-hop scattered into the mix, the singer songwriter has always followed his own adventurous muse, creating a body of work diverse in ways that few other artists can claim. 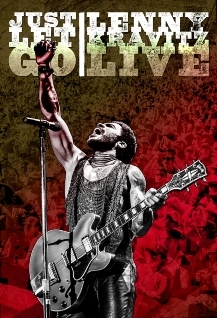 Just Let Go: Lenny Kravitz Live is a mix of documentary and performance video of live performances from Kravitz's 2014 European tour. As a concert video, Just Let Go rocks. Rocks hard. Digging through Kravitz' fun and funky back catalogue, the singer and his band (which he calls the best band he's ever worked with) play like the stage is on fire. Kravitz was one of the shining lights and pioneers of African-American artists melding of rock and R&B, shining nearly as bright as contemporaries like Prince and Michael Jackson and becoming a significantly bigger star than such acclaimed similar artists as Terence Trent D'Arby, Fishbone and Living Colour. Probably some of Kravitz's best-remembered songs were when he rocked out, and all of those sound quite fine here. The top example is still the 1994 scorcher "Are You Gonna Go My Way?," which still sizzles with power chord attitude and a rock and roll sneer. Other stompers include the lascivious "Strut" and the album-oriented-vibe of "Dig In." His funked up cover of Guess Who's "American Woman," has never totally worked, though, and it still doesn't quite. It's a pretty good cover of a great song. However, Kravitz can also stop your heart when he slips on his love-man falsetto on his early hit "It Ain't Over 'Til It's Over." That 1991 song was the first to make Kravitz a household name and big star (though lots of the music nerds had gravitated to his 1989 single "Let Love Rule," it was far from a hit. Listening to "It Ain't Over" live with 24 years of hindsight (Christ, how is it possible that song is so old?) it is still as fresh and frisky as ever, a perfect pastiche of soul-man love. Other funk-vibed classics include "Fly Away" (which also has a strong rock undercurrent, the paisley coloured "Let Love Rule" and that Troglodyte soul of "Always of the Run." The live performances are punctuated (every song or two) with extensive interviews with Kravitz and members of his large, extended band. Though these segments are upbeat and the band members obviously have a great repartee, but not all that much of great substance is imparted in them and each time the film cuts to one of these segments it kills the momentum of the live performance. This is particularly noticeable when the talking heads suddenly appear during an extended jam of "Always On the Run," feeling intrusive and unnecessary to the music. Not that these interview segments are unnecessary or uninteresting, but had they been cut down or run in larger chunks towards the beginning or end of the film and not constantly interspersed with the concert, it would have been better for the film's pacing. However, there are enough interesting tidbits in the interviews to make them worth watching, since they are there. Ideally, though, this Blu-ray should offer a way to watch the entire concert straight through, and then the interviews in a block at the end. However, with the high quality of the music and the fierceness of the playing, that is a relatively minor complaint. Just Let Go is a great reminder why Kravitz � who has seemed to be focusing more on his acting career than his music as of late � was one of the best, most diverse artists out there for well over a decade. 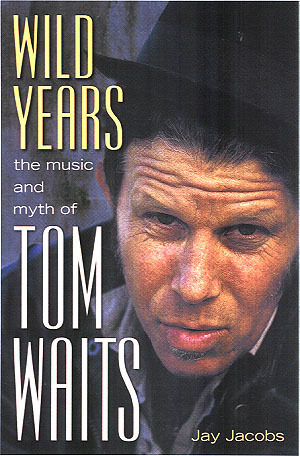 The dude has a hell of a good catalogue, and most every song you'd want to hear is present and accounted for � only "Again," "Stand By My Woman" and "Lady" are conspicuous in their absence from his long career and large songbook of hits. However the rest of the set list is prime, and the performance smokes. Copyright �2015 PopEntertainment.com. All rights reserved. Posted: November 1, 2015.